As the mother and sole carer of seven children, Mangalitte often struggled to provide for her children. After her husband was imprisoned, Mangalitte had to go to work on a local farm in return for food; often her allowance isn’t enough to feed them all, and on most days the family eats just one meal. The few children for whom Mangalitte was able to afford school fees found it difficult to concentrate over the rumbling of their stomachs. The family live under an iron sheet; they had been hoping to finish building their house but with the children’s father being away, this had never become a reality. In early 2018, Mangalitte became very ill and was unable to keep sending Clemence to school. 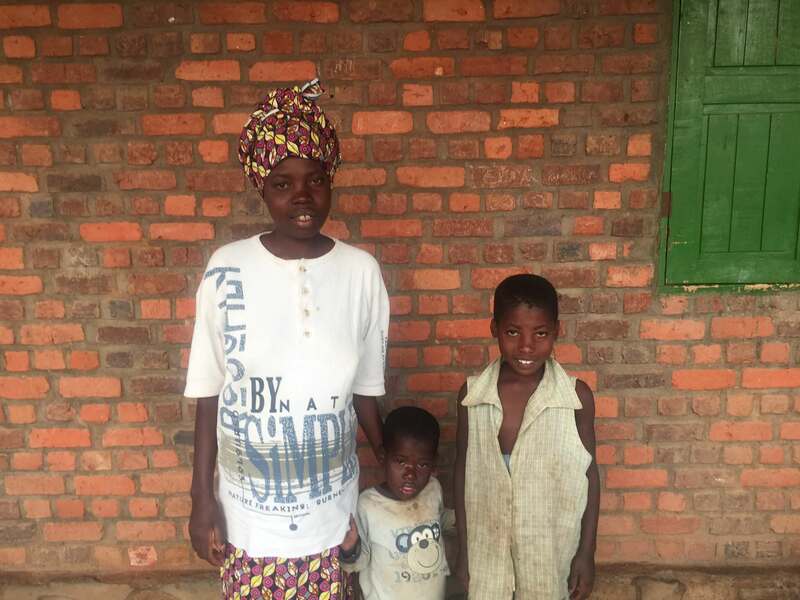 Instead, Clemence took her mother’s place in the fields to put meals on the table for her siblings. Since Children of Rwanda was introduced to Mangalitte, we have been able to alleviate some of the pressure she was under. 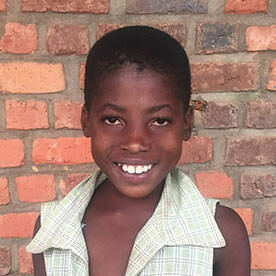 We have taken Clemence and all of her school-aged siblings onto our school programme, covering their fees until the children complete their education. Clemence and her brothers and sisters are now able to attend school with the right materials to ensure that they can benefit from their schooling. For just £10.50 for the younger, primary school children, and £50 for secondary school students, Children of Rwanda has ensured that for the first time ever, Clemence and her brothers and sisters; Pierre, Esperence, Eugenie, Valenci and Clement can go to school without the worry that their mother will not be able to put them through the next year. And when their youngest brother Rafiki is old enough, we will make sure that he gets the same opportunity. Medical care for Mangalitte’s family is now also covered by Children of Rwanda, providing access to doctors and medical facilities at any time. This costs just £3 per child for the year but would have been out of the family’s reach without Children of Rwanda. In an environment with a high risk of malaria, this healthcare is absolutely vital. Children of Rwanda’s support means that the money that Mangalitte was spending on school fees can now be used for food and to begin to reverse the effects of malnutrition that have had a huge impact on the family. To help us ensure that girls like Clemence can access the education that they desperately need, please donate here today.